It was a tale of two sectors ­last week at Offshore Energy 2016 in Amsterdam. On one hand, conference sessions and convention hall crowds talked up the turbulence stirring the oil-and-gas sector. On the other, experts debated the prospect of slowing climate change and extolled the prospects of massive growth in Northern Europe’s offshore wind sector. 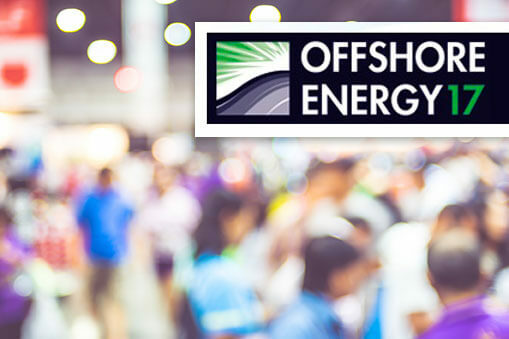 Offshore Energy has evolved into one of the world’s top conferences serving the people and companies who produce oil, gas and renewable power beyond our coastlines. Nearly 12,000 people attended the conference, which brought in dozens of expert speakers from around the world and featured more than 650 exhibitors. Folks from PMI were there soaking up knowledge, expanding business contacts, and discussing PMI’s innovative renewable solutions. We go to a lot of these kinds of events, and we were duly impressed by the exhibit hall layout and the cross-section of participants. This is the place for you to be if, like us, your business has a foot in both the fossil fuel and renewables sectors. As we talked to CEOs, engineers, geologists and business-development pros., we heard a lot about the potential for a flat oil & energy economy in 2017. The oil-and-gas sector has been plagued by layoffs since the price of petroleum plunged more than 50 percent since 2014. We heard that some companies are starting to rehire, while others are still letting people go. In a session called “From Bust to Boom,” panelists pointed to prospects for huge growth in offshore wind in the years to come. John Baken of TKI predicted four-fold expansion in the North Sea region. “The investment level in offshore wind will increase from 10 billion a year now to $40 billion in 2030,” he said. Panelists warmed to the prospect of jobs in offshore wind recouping some of the 300,000 jobs lost worldwide in the global oil downdraft. Baken said the Netherlands alone will need another 8,000 people by 2020 in the offshore wind sector. “We can teach laid-off oil and gas workers to come to work for the offshore wind industry,” he said. “But we still need a lot of students to come into the offshore wind sector.” Read the article. What kind of ocean equipment will be needed for subsea power grids?